It’s almost like a treasure hunt. A Delhi couple that loves books takes their passion a step further by coming up with an innovative way to encourage others to read. 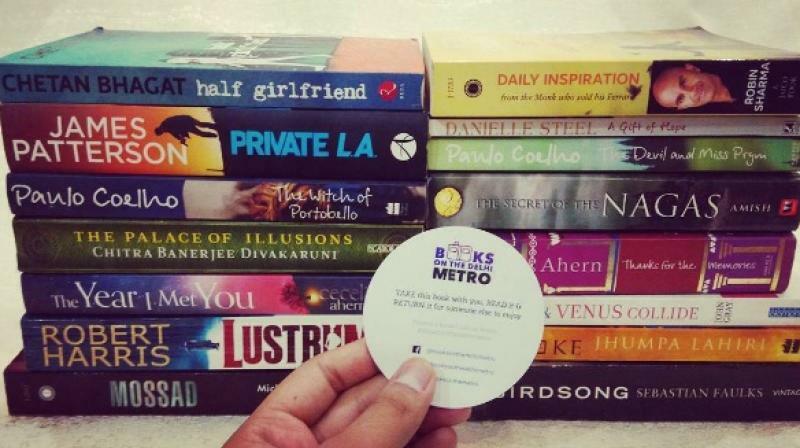 Shruti Sharma and Tarun Chauhan leave books on the metro trains and stations for anyone to pick up and enjoy. After they drop it off, they post clues about the books location on social media. They also request people to post about the find using the hashtag #booksonthedelhimetro and return the book to the metro so others can read it. Metro museum is the place where you should be looking today. They started the non-profit project called 'Books on the Delhi Metro' in May. The idea was inspired by Harry Potter star Emma Watson who leaves feminist books on the New York City Subway and the London Underground. The couple was intrigued by her act and learned Watson collaborated with a global initiative called Books on The Move that encourages reading while on public transport. After Sharma contacted them to seek permission to start an Indian branch, the couple's project was launched. Sharma told a leading English daily apart from encouraging reading, she also wants to people to put down their phones for a while. The couple aims to leave one book a week and also introduce Hindi books at some point.